I am sitting on the couch at my mother in law’s house. There is a small Christmas tree on the fireplace and Elmo on the TV. She’s making pie while the men are out doing errands. Oscar has been up and down on the couch snuggling with me and his cousin is lying on a bean bag chair nearby. If this isn’t Christmas, then I don’t know what is. We so needed this time. All of us. I don’t think I anticipated the effects of moving, moving while pregnant, and doing renovations while living amongst them would have on me. On my spirit. But I have been very heavy lately. Jerry and I have talked about it. About the stress and the long list of needs and the work that has been done. We take turns needing a helping hand out of the dumps. For the most part, we’ve made it through. But what we really needed was a chance to decompress and let go for a few days. 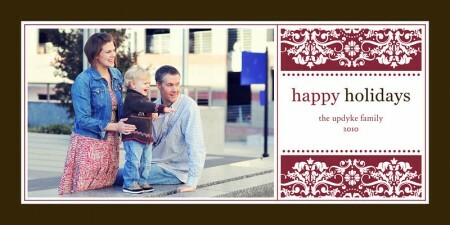 I am so thankful for our family near and far taking care of us and walking through these big changes with us. We couldn’t do it alone. I have a lot in my head and heart right now and hope to get to a place where I can take the time to work through it and share. I hope that your holiday finds you full of love, laughter, and snuggles that warm your heart. We all go through those times … There are boughts when I need pulling out of a funk and visa versa, and we always know how to get the other smiling again. With so much going on in your life right now, it sounds like the holidays have arrived in the “nick” of time (pun intended!). Merry Christmas! I hope it brings you the peace and joy that you deserve! I’m glad you’re having the Christmas that you need. Sometimes we just need a little bit of downtime and to be surrounded by people who love us. Wishing you a peaceful season. So glad you are peaceful and happy! Merry Christmas! Family and friends are so wonderful to have. In “It’s a Wonderful life” it says, “A man is wealthy if he has friends!” So true! Looks like you have a great support system- Have a wonderful holiday and Happy New Year!